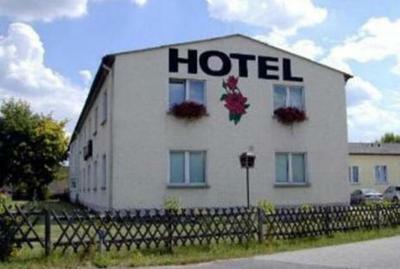 Lock in a great price for Hotel Zur Rose – rated 8 by recent guests! Für einen Besuch in der Therme Ludwigsfelde optimal. Frühstück war gut. Wifi versorgung inklusive und ein Kuhlschrank im zimmer,super. Zimmer ist prima ausgestattet. bardzo czysto, bardzo dobra cena, bardzo przyjemna obsługa. Fajerwerków nie należy się spodziewać, ale stosunek ceny do jakości uznać należy za bardzo dobry. Sehr feundliche Dame beim Frühstück; vor allem viel Geduld mit ausländischen Gästen. Ágy kiváló volt, reggeli megfelelő minőségű és mennyiségű volt. 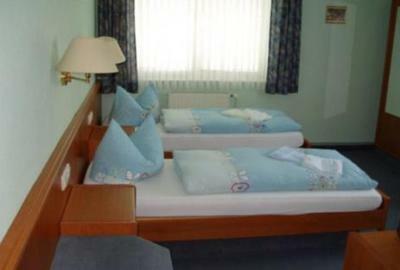 Each room at the Hotel Zur Rose includes a private bathroom, desk, TV and hairdryer. The hotel has a garden and is surrounded by Brandenburg's green countryside. 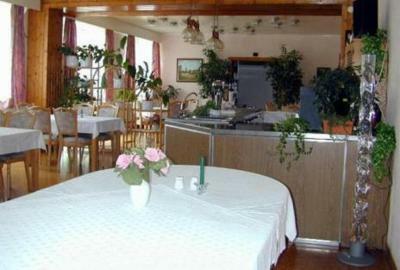 Traditional home cooking is served in the Hotel Zur Rose's restaurant. The restaurant is open between Monday and Friday, from 17:00. Trains run directly from Trebbin station to Berlin's Schönefeld Airport and main train station. Both Berlin and Potsdam can be reached by car in about 35 minutes. This property is also rated for the best value in Trebbin! Guests are getting more for their money when compared to other properties in this city. When would you like to stay at Hotel Zur Rose? House Rules Hotel Zur Rose takes special requests – add in the next step! Debit card Hotel Zur Rose accepts these cards and reserves the right to temporarily hold an amount prior to arrival. Hotel Zur Rose accepts these cards and reserves the right to temporarily hold an amount prior to arrival.